I tried to post this feature last night, but was having some trouble with my Picmonkey. Yesterday and today we were dealing with more health stuff which I will share more about in a bit. 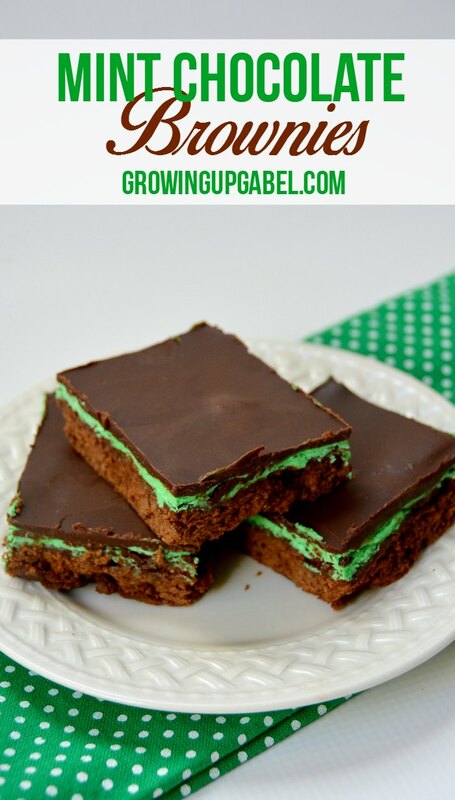 After the last few days, you can understand why today's features contain two of my favorite ingredients together... chocolate and mint! Do you love chocolate pudding like I do? 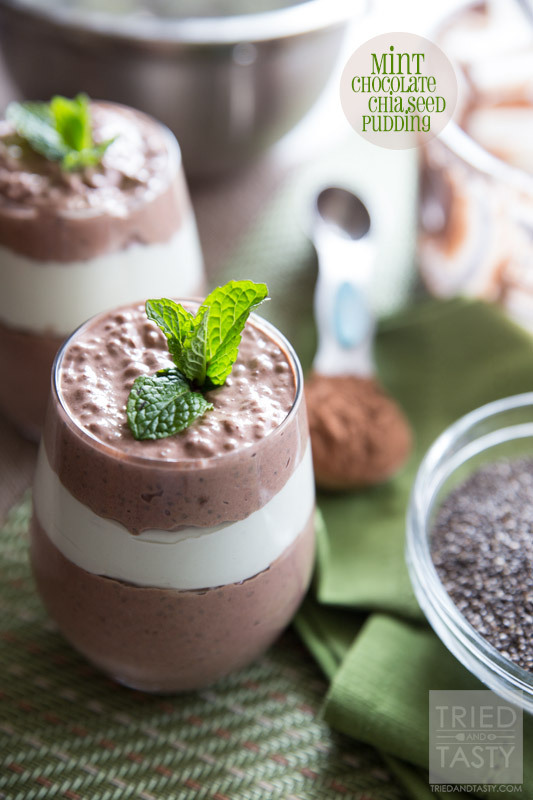 These Mint Chocolate Chia Seed Pudding cups by Tried and Tasty look really good. While I have never tried Chia seeds before, they definitely look interesting. 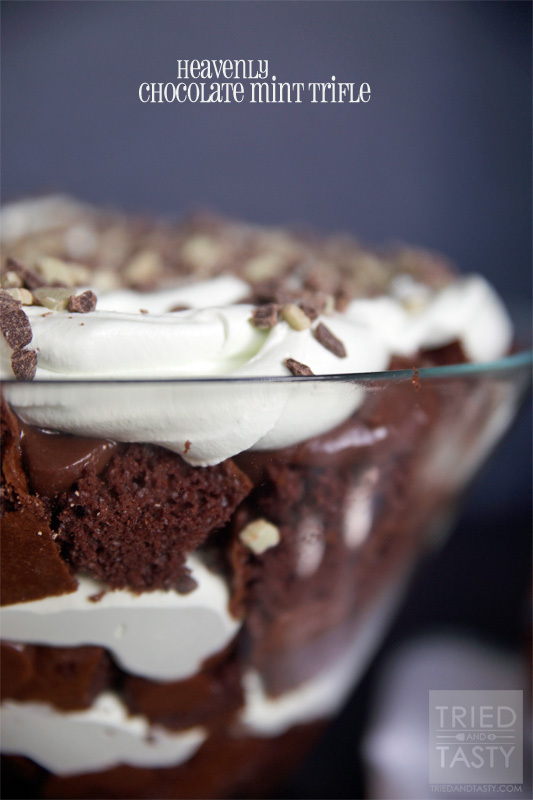 I think I could eat this entire Heavenly Chocolate Mint Trifle also by Tried and Tasty by myself. Yum! 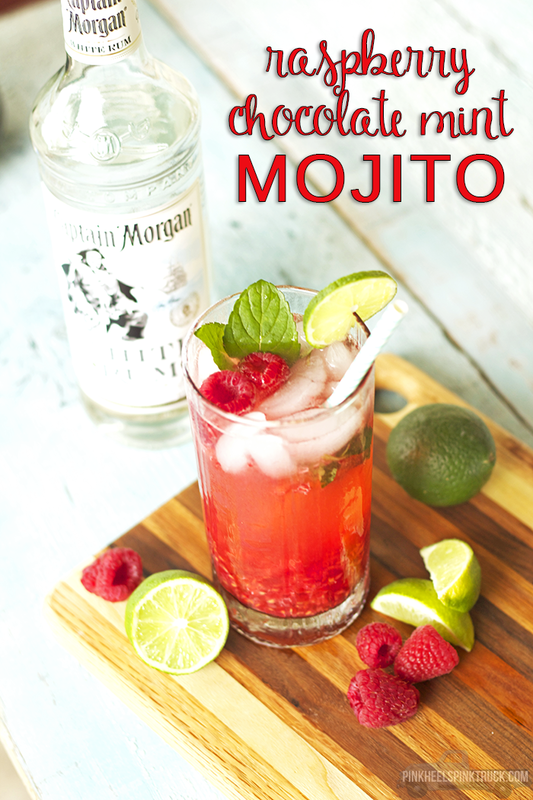 While I am personally not much of a drinker , I think this Raspberry Chocolate Mint Mojito by Pink Heels Pink Truck looks really good and refreshing. Thank you so much Camille, Yvonne, and Taylor for linking up your awesome posts to this week's Dare to Share!